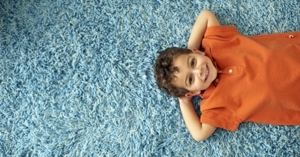 Call Us for Carpet Cleaning Services! Don’t spend your weekends in scrubbing your premises, when there is a chance to enjoy the beautiful sun and sky outside. Let Peninsula Apartment Cleaning & Janitorial Service take care of all of your cleaning needs. Since 1987, Peninsula Apartment Cleaning & Janitorial Service has been providing exceptional cleaning services to various customers. We are one of the leading and renowned cleaning contractors in the Salinas region. We offer a wide array of cleaning services including detail cleaning, move-outs, new construction cleanup, carpet cleaning, house cleaning, building cleaning, office cleaning, house cleaning, window cleaning, window blind cleaning, grout cleaning, hardwood floor cleaning and much more. Our cleaning experts are here to provide full-service cleaning solutions by using the latest tools and techniques. Call Us for Commercial & Industrial Janitorial Services! Copyright © 2018 pacjs.biz All rights reserved.